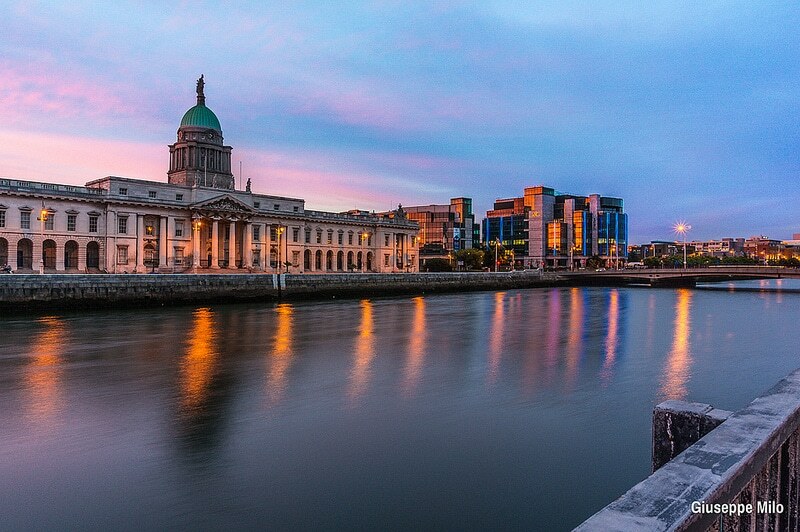 Find an accommodation in Dublin that suits you, and discover the charms of Ireland in the Irish capital! Here are the best areas to stay in Dublin! Are you planning to stay in ancient Celtic territory? Dublin, capital of the Republic of Ireland, is the historical, political, artistic, cultural, economic, and industrial hub of Ireland. A European and international financial center, Dublin is also famous for the hospitality and the sympathy of its inhabitants. You will be spoiled for choice to find a neighbourhood to stay in Dublin, after enjoying a good pint of Guinness. However, be prepared to encounter rather costly accommodation rates. Dublin has a population of 525,383 (2011), and County Dublin has 1,270,603 inhabitants. The River Liffey divides the city into two historically distinct areas: the working-class neighbourhoods on the Northside, and the gentrified, middle and upper-class neighbourhoods on the Southside. Here is a presentation of the best areas to stay in Dublin. 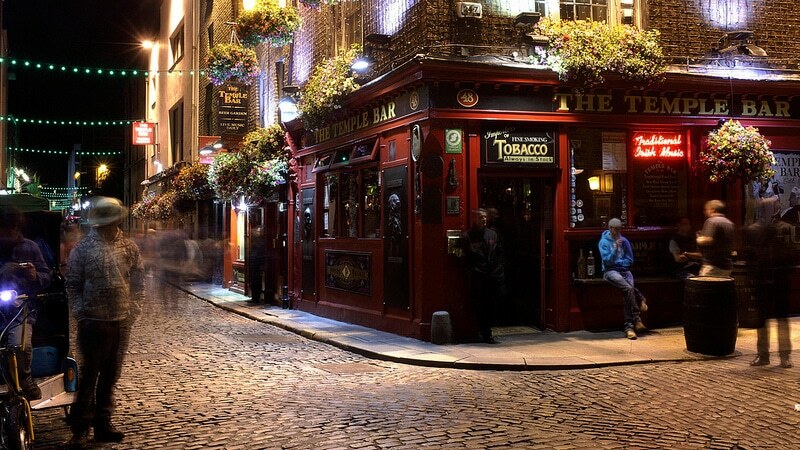 Situated on the south bank of the River Liffey, Temple Bar is Dublin’s festive neighbourhood. The area has countless Irish pubs, the emblem of the city, perhaps as much as Coffee Shops are an iconic feature of Amsterdam. If you enjoy lively, festive, and friendly atmospheres as much as you like a good pint of Guinness, this neighbourhood is where you need to stay in Dublin. In addition to the nightlife, this central area has much to offer, including street concerts, and great places to go shopping. Since this neighbourhood of Dublin can be noisy, a more quiet area outside the city centre may be more suitable for calm-seekers. As for accommodation prices, they are high, as in any city center of a European capital. Situated south of the Liffey and surrounded by green areas – Trinity College, Merrion Square, St Stephen’s Green, and St Patrick’s Park – the Georgian Quarter is known for its iconic Dublin architecture. Its streets are lined with elegant buildings displaying colourful doors. This central neighbourhood is ideal for a romantic urban stroll on a sunny day, especially if you are fond of architecture and history. Here too, hotel or apartment accommodation will be expensive. If the prices are too high, don’t hesitate to rent a local flat or a home via Airbnb. Situated not far from the Phoenix Park – a huge 712-hectare urban park -, Smithfield is a thriving and vibrant neighbourhood bustling with activity at any time of the day. You will find many bars and restaurants if you have not, during the day, succumbed to the temptation to fill your basket with local produce from the market. 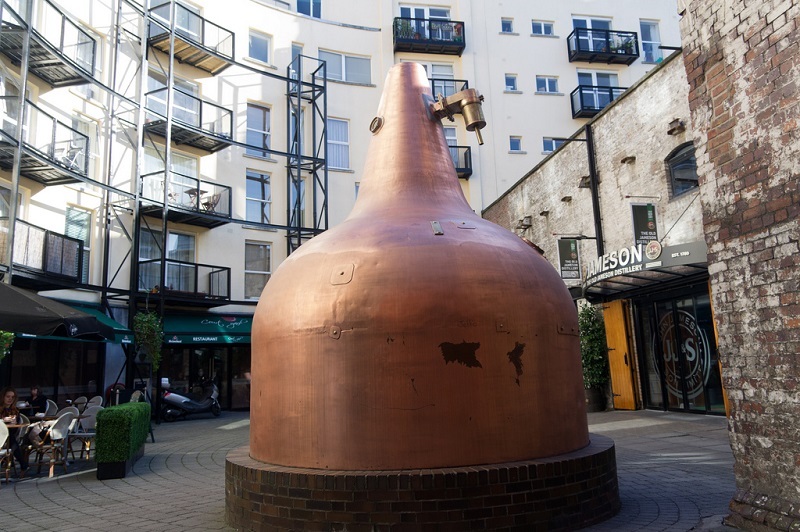 Ireland is also the country of whiskey and horses: in this area, don’t miss the old Jameson distillery and the monthly horse fair on the main square. 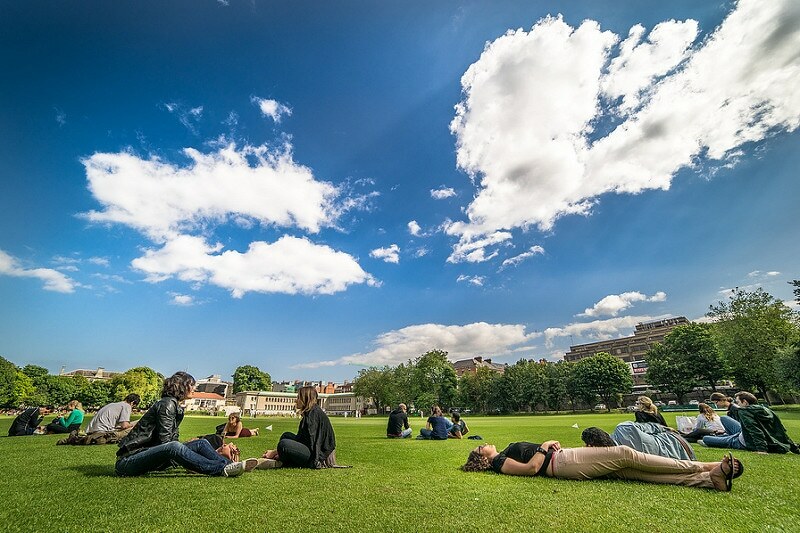 Choose to stay in this neighbourhood of Dublin if you enjoy green surroundings, local produce, shopping, beer, and whiskey, whilst remaining close the city center. Be careful, accommodation rates are quite high. Stretching from the mouth of the River Liffey to the Talbot Memorial Bridge, the Dublin Docklands used to be a working-class – even ill-famed – neighbourhood. Regenerated in recent years, the area is now safe, and has an offbeat atmosphere. In place of the old port facilities, the Docklands’ urban regeneration project has included cultural and tourist infrastructures to attract the middle class and businesses. If you choose to stay in this area of Dublin, don’t forget to visit the Famine Memorial, a sculpture museum that pays tribute to the countless victims of the Great Famine that raged over Ireland from 1845 to 1849. Are you fond of cosmopolitan and culturally diverse atmospheres? Are you looking to stay in a renovated neighbourhood whilst avoiding the hustle and bustle of downtown? You’ve come to the right place.